Established in 2004, HELPERS is Hungary’s leading provider of comprehensive business and personal services for international clients. We specialize in business, relocation and immigration solutions. Central Europe’s best-kept secret, Hungary offers amazing business opportunities – the corporate tax is Europe’s lowest at 9%, and you can have a company up and running, with an international VAT number, in just 2-3 days. HELPERS offers a one-stop-shop for international businesses: open a company, find local partners, collect market information, hire staff, and even manage your venture from abroad if you wish. We provide accounting and financial services including bookkeeping, payroll, financial controlling, profit and loss calculations, cash flow projections and many more. Seamless cooperation with our in-house legal, business and residency services. Unlike most registered office providers, HELPERS not only receives and processes your company’s mail but also provides you or your accountant instructions on any action that is required. Tailored mail forwarding to you, your accountant or any other third party. From a simple feasibility study to a detailed market analysis, we can help you reduce risk and start your business on the most solid foundation possible. Insider tips from major market players can help you make informed decisions. 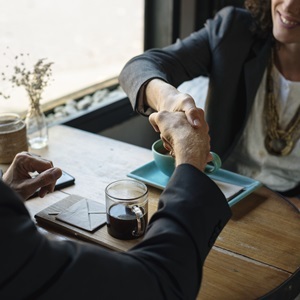 Recruit and hire new staff – for significantly less than most agencies, we will take care of advertising, screen candidates, and include a professional labor contract in the package! Advice on formulating the position and setting the optimal salary is included. 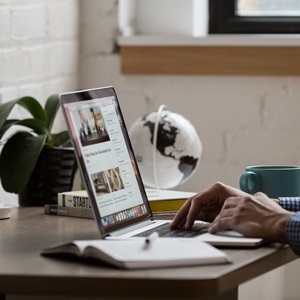 Our start-up package includes full-service incorporation with business registration, international VAT number, opening a bank account, and basic accountancy. Whether you are looking to set up a local venture in Hungary or expand your international business in Europe, we are here to advise you! Getting long-term residency in Hungary – whether through business, investment or other means – allows you and your family to live, work, do business and travel freely in Hungary and in Europe. We have helped hundreds of clients from all over the world to acquire a resident permit, work permit, or new passport. Whether you wish to live in Hungary, or just want more freedom and security, we’re here to help. We handle the entire range of residency options available to foreigners from all over the world. Whether you need just a registration card or want to relocate the whole family, we are here to help. Ask for a consultation and let’s see together which option you should apply for. Non-EU nationals working in Hungary usually need a work permit. Consult us if you’re looking to be employed in Hungary or plan on employing a non-EU citizen! Social security card, tax number and personal bank account opening assistance also available. Operating a company in Hungary will make you and your family eligible for a Hungarian residence permit, which enables you to travel visa-free in the Schengen zone. Including virtual office and accountancy. First-class specialized assistance for all your family members. Bring your spouse and underage children with the family unification procedure, or get a student visa for your adult child. For families applying for residency together, we offer significant discounts. A Hungarian passport is among the top 10 most desirable passports in the world, offering visa-free travel within Europe as well as to the United States and Canada. For long-term residents of Hungary and those with Hungarian ancestors. As Hungary’s most experienced advisors on family, small business and investment immigration, we will surely find the best program for you! Hungary is a great choice for business and personal endeavors because our favorable taxes, low cost of living, and flexible business climate make even the most high-end products and services affordable. You’ll be surprised at the great value you’ll get for your money. Investing in property, planning your international tax structure or even your retirement here can be extremely lucrative and a truly luxurious experience. 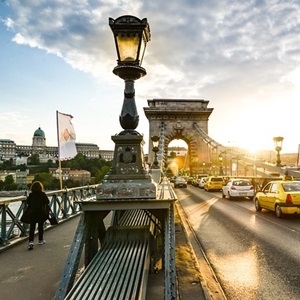 Although Hungary’s residency bond program is currently suspended, there are still ways for investors to acquire residency here in a safe and lucrative way. Choose the right real estate and start your property management company in just 3 months. Hungary’s real estate market is booming and full of opportunities. Since prices are significantly lower here than in Western Europe, high-end real estate like hotels, factories or luxury residential properties can be surprisingly affordable. Contact us for the full portfolio of available deals! Our accounting team specializes in working with foreign businesses and investors. Consult our tax advisors on how to best take advantage of the lowest tax rates! Tax advisory from EUR 100 / hour. Hungary offers the most favorable tax rates in Europe, with 9% corporate tax and 15% personal income tax / dividend tax. Ask for a tailored quote to get started! Contact us if you are looking for first-hand information on the best investment opportunities in Hungary!